This January, Acumatica held its largest Summit to date with over 1,400 customers and over 85 Independent Software Vendors (ISVs). For those of you that were not able to attend, they released Acumatica’s latest version, 2019 R1. Here are the highlights of some of my favorite new features! Branch color branding – Change your site preferences color per branch. This will greatly reduce any confusion that your users may have on what company they are entering transactions. Side panel resizing – Now side panel can be resized to help with your screen estate. 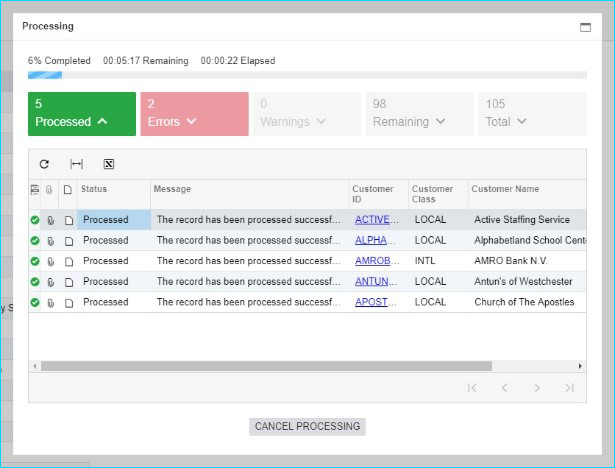 Processing bar – This bar is now displayed so that the user can see the status of records being processed. 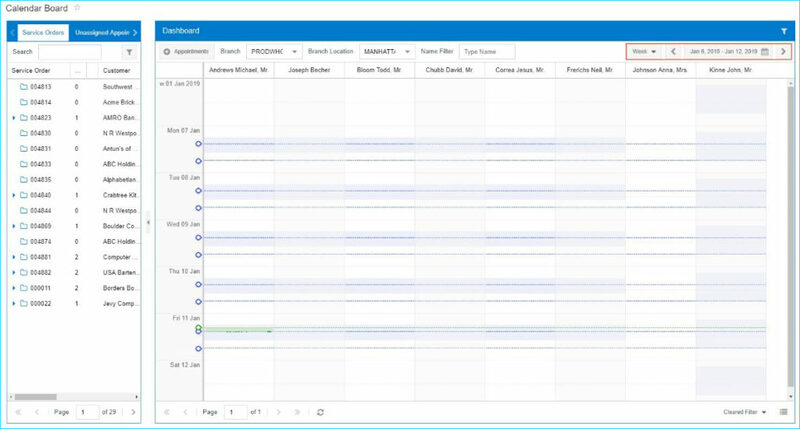 This is extremely useful for tracking longer running processes, while running other processes. Multiple fiscal year ends in tenant – Entities in the same tenant can now have companies with different Fiscal Year-End Dates. This allows these companies to share vendors, items, and employees, which was not possible in previous versions. Pre-defined list of currencies – Acumatica now provides a pre-defined list of all currencies included in the ISO 4217 standards so that users no longer have to manually enter currencies. 606 requirements revenue from contracts with customer – This version now supports GAAP and IFRS 15 standards of Revenue Recognition. Reconciliation Inquiries – If you have inconsistencies with balance in AR, AP, and your GL, these inquiries now make it easier to find and manage these discrepancies by account. Warehouse management with mobile scanning – The biggest impact in the Distribution Modules is the introduction of a “light” Warehouse Management Solution (WMS). 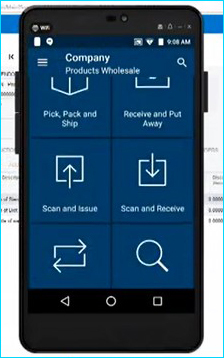 This provides the user with the ability to use their mobile app to handle shipping and receiving requests, from receiving then “putting away” items against a purchase order (PO) to inventory lookup, to picking, packing, then shipping an item. Automated balance adjustments – When a physical inventory count is completed the system can be configured to release physical inventory adjustments automatically or allow the user to review and correct the adjustments. This was not possible in previous releases. Multi-currencies on a project – If you have international customers that need to be billed in a single currency (Euros, for example), but your company works in another currency. We now have a project-based currency and a transactional based currency. 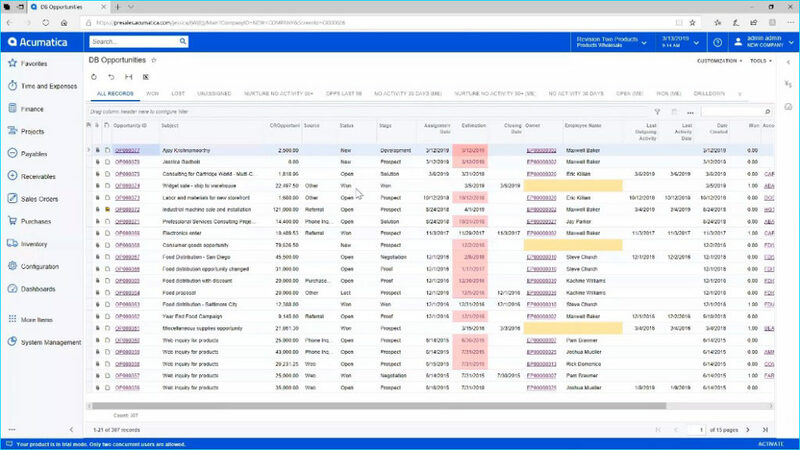 Enhanced budgeting (revisions and periods) – Each project can now have multiple project forecasts and compare these forecasts with the original project budget. 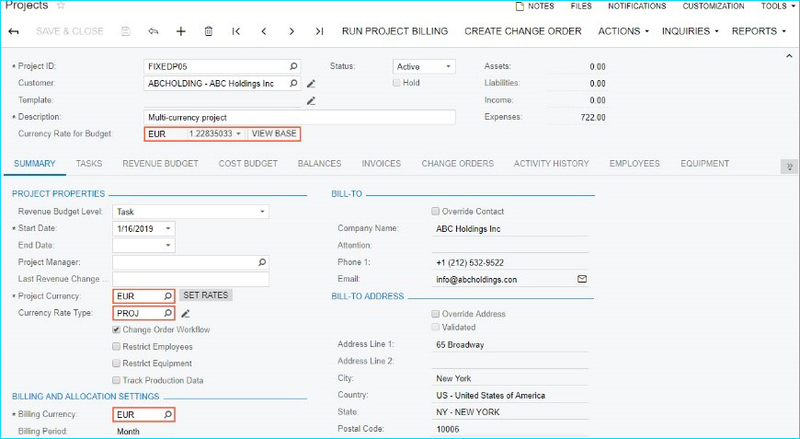 You can also easily distribute the line item of a budget over a selected number of periods. Advanced calendar board – This has been greatly enhanced to include the ability to filter between branches and locations, toggle your views to flip what data is played on which axis, zoom in or zoom out, view calendar by days, weeks or months, filter to weekdays, and more. Mobile enhancements for field services – Appointment and real-time GPS tracking on maps on the mobile app. When you start an appointment, the app will immediately capture your GPS location. You can also capture signatures from your customer verifying that the work was completed. 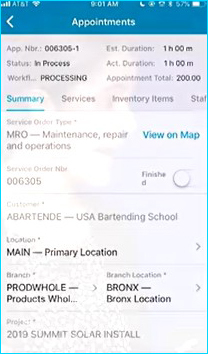 Create a sales order invoice from appointment – A service professional in your organization can now generate a SO Invoice from the service appointment. 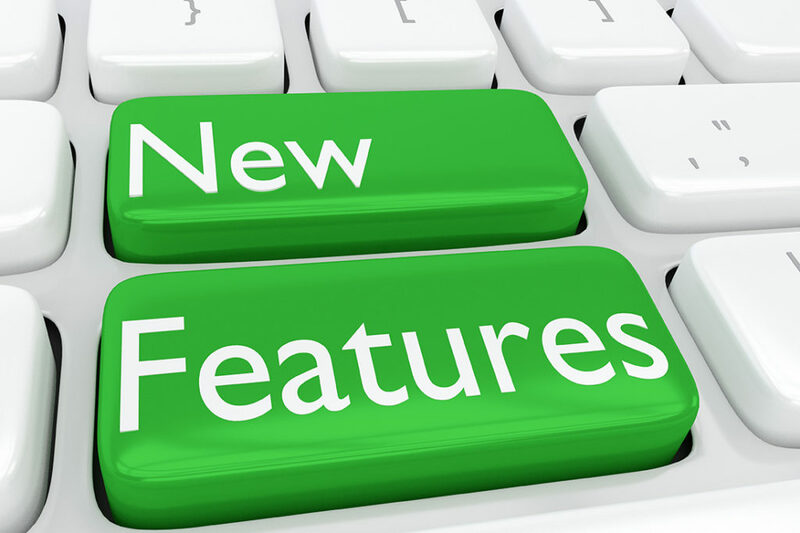 If you want to know how your business can take advantage of these features and upgrade today, contact your Crestwood Client Account Manager. Acumatica Financial Management: Questions (and Follow-Ups) To AskTime to Upgrade Microsoft Dynamics GP?